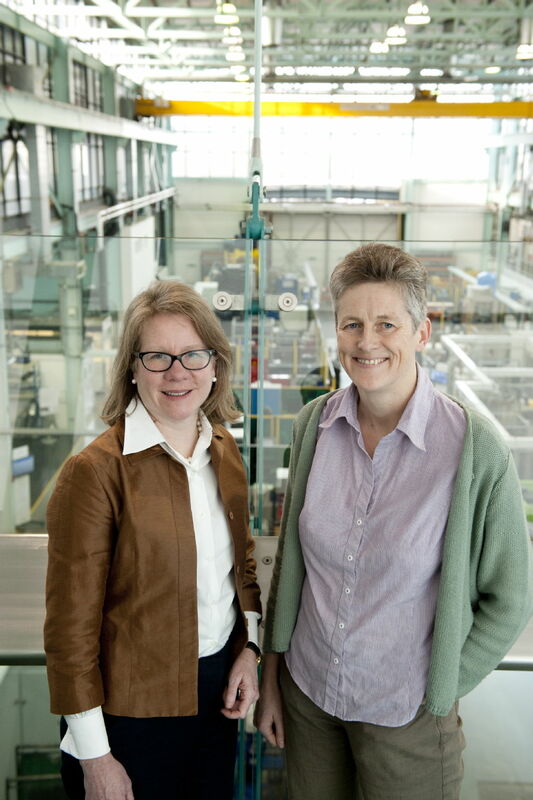 WMG, at the University of Warwick, have announced that Professor Claire Davis and Professor Barbara Shollock have been appointed as two new Tata Steel Chairs for research into Thermo-mechanical Processing and Advanced Characterisation and Coatings. These appointments strengthen the rapidly developing relationship between WMG, the University and Tata Steel. They confirm the strong commitment of Tata Steel to research and manufacturing in the UK. Building on the initial Tata Steel / Royal Academy of Engineering Chair of Professor Sridhar Seetharaman, the company and the University have been working closely to develop an exciting strategic partnership, with research, research infrastructure, education and exploitation opportunities. Professor Davis is currently Chair of Ferrous Metallurgy at the University of Birmingham and will take up the Chair in Thermo-mechanical Processing. She gained her undergraduate degree from St Catharine’s College, University of Cambridge and her PhD from the Department of Materials and Metallurgy during which time she spent 2 months at Nippon Steel as part of the European Research Student Experience Scheme. She is a Fellow of the Institute of Materials, Mining and Minerals. She was a founding member of Rail Research UK and has a strong interest in rail related research activities. Her research interests focus on steels, particularly, understanding how the desired microstructure develops during processing; the relationships between microstructure and properties; and non-destructive evaluation of microstructure and defects. Professor Shollock will take up the Chair in Advanced Characterisation and Coatings, she is currently Senior Lecturer at Imperial College London. She gained her undergraduate degree from Lehigh University, Pennsylvania and D.Phil from University of Oxford. She has been a TFR visiting Professor at Technical University of Lulea Sweden and held an industrial fellowship with The Royal Society. Her research interests focus on engineering alloys by understanding the evolution of their microstructure and relating this to their in-service performance. Alloys studied range from nickel and cobalt superalloys to steels and zirconium and aluminium alloys.